I am a fellow GF brewer, one who is just starting out and this site has been helpful, and very interesting to read. You seem to know what you are doing, so I wanted to see if I could ask you a couple questions? - You say: "The calcium carbonate definitely helped to keep the acidity down from the raspberries, otherwise it may not have been drinkable". - When do you add the calcium carbonate, and how much? I am thinking of attempting a fruit beer soon and I found this interesting to know. - It seems that you use around half or so of the sorghum at the very beginning, and then half at the very end. - Is this just personal preference? I have made a couple batches of beer now and have never done that before, but it seems appealing. Those are the only questions I have for now. Thanks again, and good job on the website and the posts. Everything has helped! From what I’ve read on homebrewtalk.com Calcium carbonate can be used to lower acidity. Another brewer noted that Sorghum can be quite sour and this looks to be tied to the acidity. Which isn’t a major issue with Fruit beers perse but can detract from Pale Ales and IPAs. I’ve used it in the boil and post fermentation which seemed to work fine. 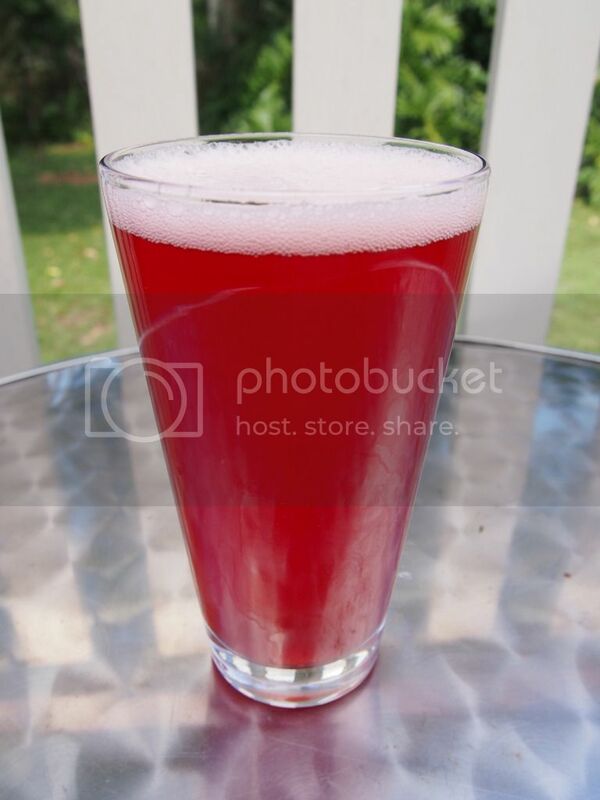 With fruit beer, just remember that the skin will have natural yeasts on it. So I’d recommend pasteurising your fruit before adding it in with the beer base. Natural yeast can ferment in a less predictable way than brewer’s yeast, producing off flavours and or bottle bombs. And with regards to adding sorghum at the start and finish of the boil. I found that it reduced the sourness as well. Also it can help with hop utilisation (regarding bitterness). If the wort in the boil has too many sugars it can reduce what is extracted from the hops. It can also do something bad if you just boil the hops without any sugars/malt but I forget what that is exactly. You’ll have to get back to me with how you go brewing a fruit beer. If you’re in America I’d recommend using some Buckwheat honey like DogFish Head Brewery.